We are Edinburgh's main agent for Steelmate parking sensors. Steelmate have a wide range of parking sensors and are sure to have a kit that not only suits your vehicle but also your budget. We have chosen them for their quality not only in design but in everyday use. 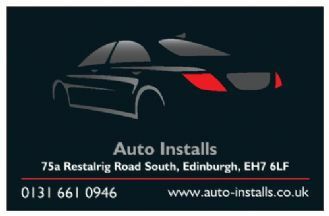 Auto Installs have been suppling and fitting Steelmate kits for a lot of the main car dealers in and around Edinburgh for many years now. 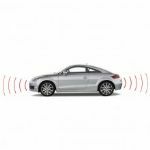 Because these parking sensors are one of the neatest and smallest in the market and also now offers a lifetime parts warranty which more than backs up the dealers warranty. They also when fitted well and colour coded almost look factory fitted.